The Lean Six Sigma Green Belt Certification program is the second stage in the Lean Six Sigma Masters program. You’ll learn the core principles of Lean Six Sigma, how to implement quality projects and applications, and how to use the Minitab tool for effective statistical analysis. 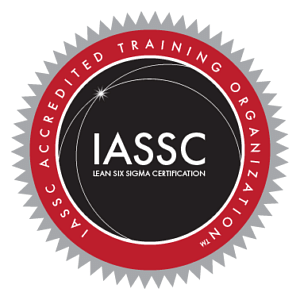 The course is aligned to IASSC exam, integrates lean and DMAIC methodologies using case studies and real-life examples, and will give you the skills to empower your organization for continuous improvement. What are the prerequisites for Lean Six Sigma Green Belt Certification? Simplilearn’s Lean Six Sigma Green Belt certification training program is designed to help you prepare for and pass the exam. Learned a lot about operational management and project planning. I feel so much more knowledgeable in planning and managing problems than before. Simplilearn is a great place and I had a great experience. The customer support is awesome. I definitely recommend them for any courses. I completed a Six Sigma Green Belt course with Simplilearn and am planning to stick with them for the Black Belt program as well. I wanted a leadership position as the expert, but I was not being recognized. Simplilearn's Lean Six Sigma Green Belt certification helped me to move my career forward to become a Senior Project Manager. The course was an enjoyable and motivating learning experience. I always left each session with the task of applying some piece of what I learned to my job. Simplilearn's self-paced module encouraged me to get more proactive with my learning. I engaged with the material, took better notes, and staggered the classes to fit in with my busy schedule at Avanza CS. I have a "Six Sigma" confidence in the trainer, an excellent instructor. The instructor and the students both made the class a good experience. The instructor's live annotation added value. The training was very intercative, the course content was well structured. The wealth of knowledge from an experienced LSS trainer along with practical exercises and real world examples made this course interesting. The course has extensive coverage of formulas and stats. Overall, it was a great course! Great course! 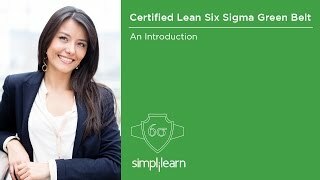 I recommend this course to others who want to take Lean Six Sigma Green Belt! I have used Simplilearn several other times and was very pleased. I continue to feel very satisfied with the education I am receiving and the value of doing this from my home. Well done! This was a great course, very informative. I found the complementary learning materials very useful. The course was good. I found the information helpful, it was well-presented. The notes provided were very helpful. Trainer is great & shared real world examples. He understand the group and our different learning abilities and knowledge levels. Amazing training! The trainer was very engaging and broke the material down into very simple explanations. After completion of the training, I walked out with ideas on how to apply the knowledge and feeling ready to take the practice exams. How is Simplilearn’s Lean Six Sigma Green Belt (LSSGB) certification different from Simplilearn’s Certified Six Sigma Green Belt? Simplilearn’s Lean Six Sigma Green Belt focuses primarily on the Lean Six Sigma concepts and is aligned to the IASSC BOK. In contrast, Simplilearn’s Certified Six Sigma Green Belt focuses on Six Sigma concepts and is aligned to the ASQ BOK.